James Wood is a professional wild food forager based right here in Cheshire. He's the author of "The Foragers' Cookbook" a foraging and cookery guide. He runs deeply engaging wild food foraging sessions and supplies some of the Northwest’s top restaurants with wild food. He’s a columnist for Cheshire Life and has written for a vast range of other Magazines and Papers, he regularly films with the BBC, ITV and other video broadcasters regarding wild foods. James also operates Totally Wild UK Food which utilises abundant weeds to produce wild food preserves available in some of the top farm shops throughout Cheshire. Foraging: join us on this quick forage to discover the range of wild foods found growing all around us, try honey tasting flower syrups and coffee tasting roots amongst many more. Cooking Demo: James will talk and show you the best ways to identify, harvest and cook up a range of fantastic wild foods. From the Classic Nettle soup to Roasted Dandelion root coffee cake, you’ll have the opportunity to taste them all right here. 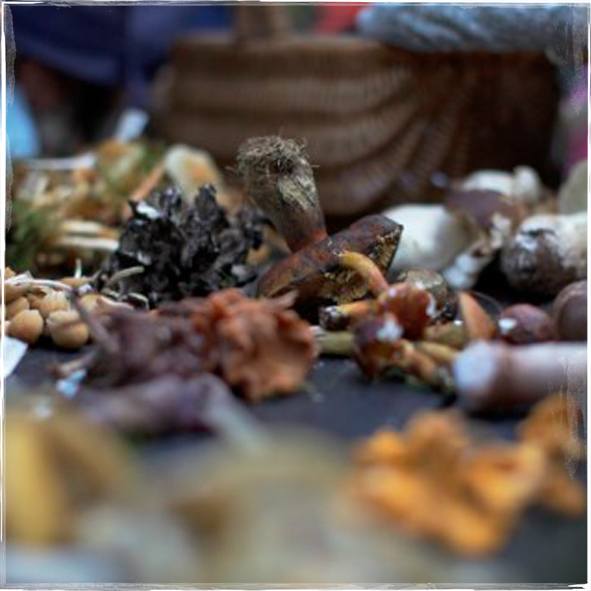 Wild Food Tent: Come and visit us at our wild food tent to learn a little more about wild foods, see if you’re daring enough to try some nettle cordial or try your luck at correctly identifying mushrooms with expert forager James Wood on hand to answer any questions. Talk: Join Cheshires' forager James Wood as he discusses the wonders and potential the vast array of weeds found growing all around us have. Try lots of pre made wild food tasters and interact with some weird and wonderful things. Like paper made out of mushrooms, inks made out of wasp eggs, glues made out of seaweeds and sweets made out of the scary Japanese Knotweed.